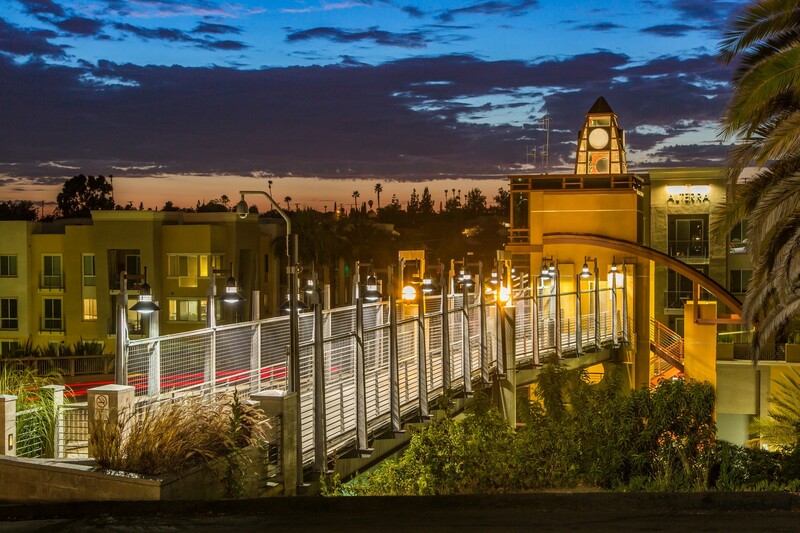 Grossmont Transit Platform – ARK Architects, Inc. 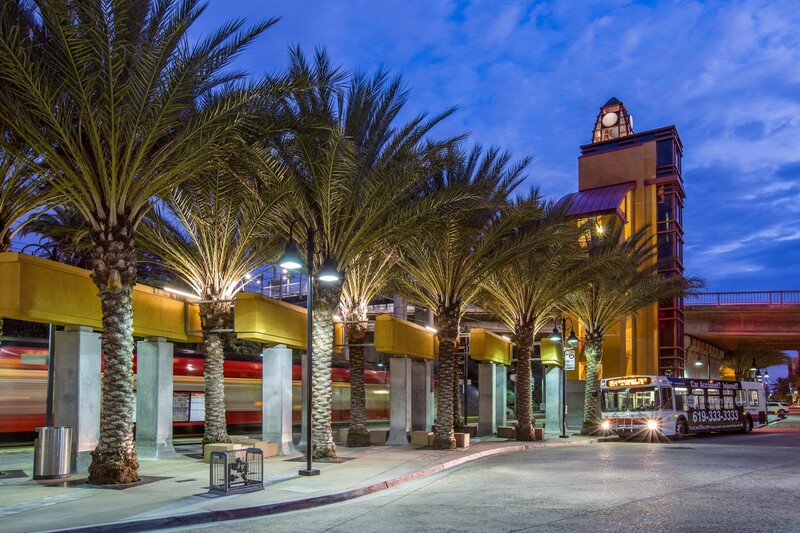 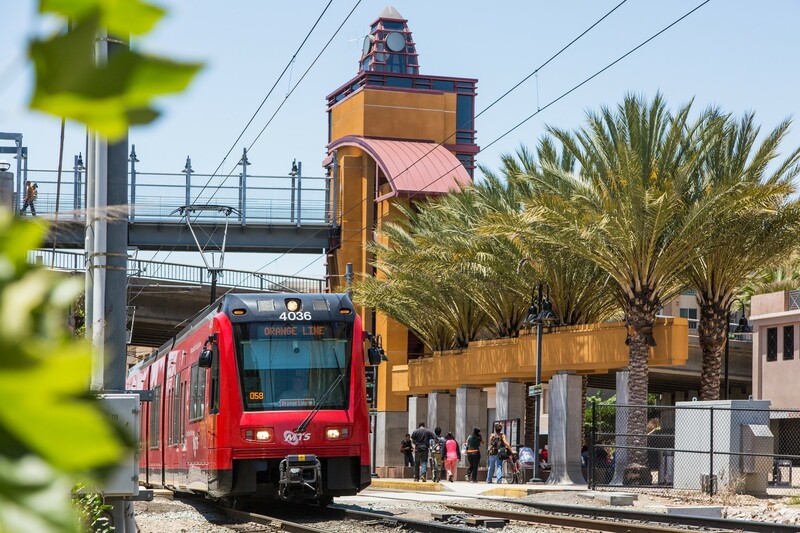 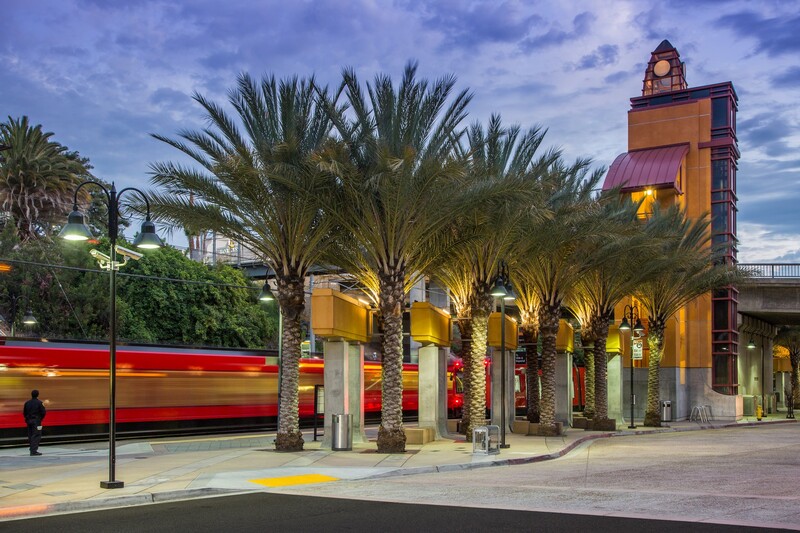 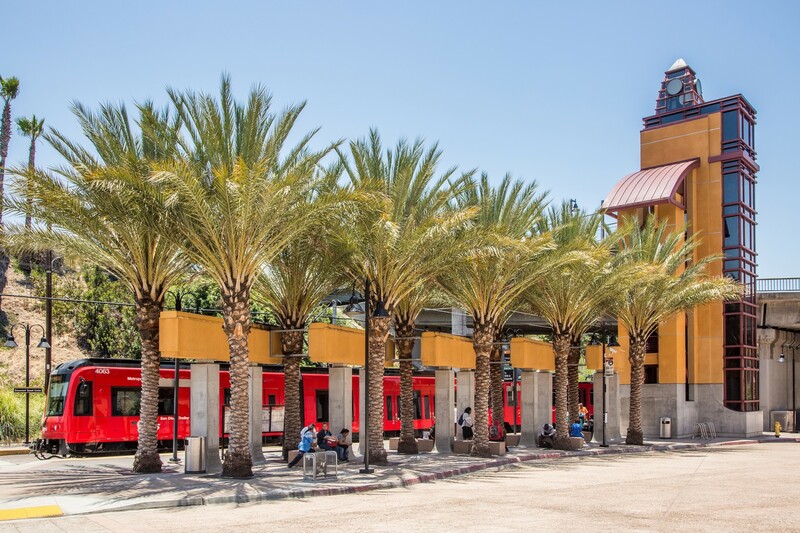 The transit platform, originally part of the larger development including the adjacent apartment projects, is an independent entity to itself with SANDAG as the client. 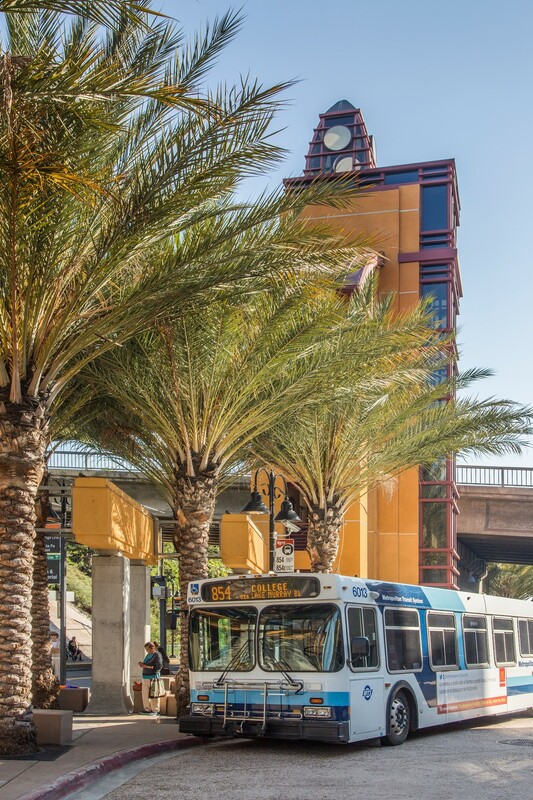 The project includes an elevator tower and a pedestrian bridge connecting the bus and Trolley platform to the Grossmont Center Drive which is at higher elevation with almost 35’ grade difference. 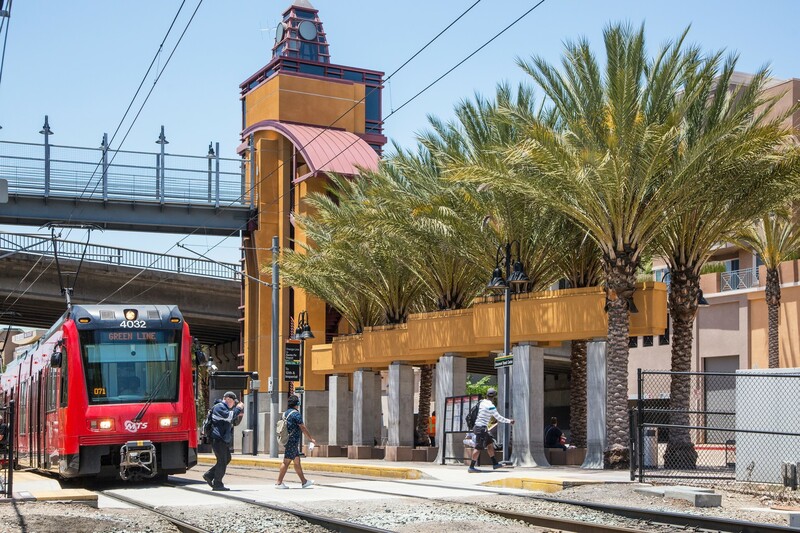 The design also includes an arcade proposed to function as a focal point and a visual reminder of the limits of the trolley platform versus the bus station. 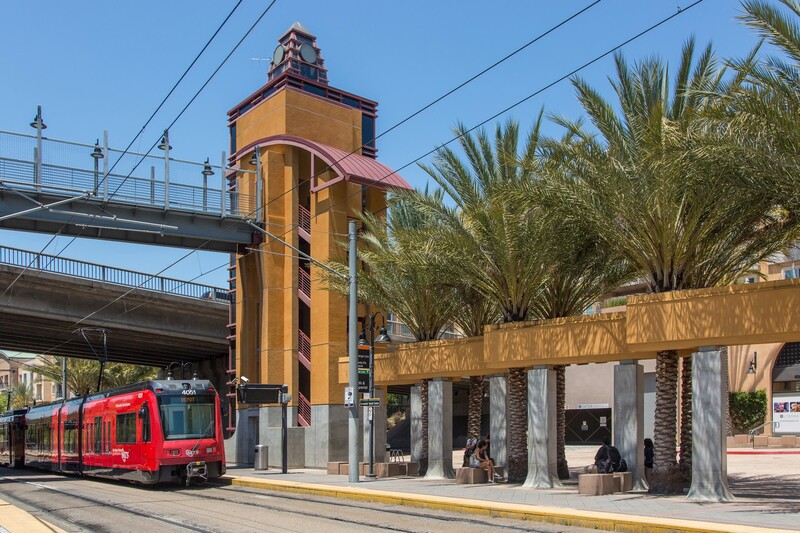 The vocabulary used in the design of the tower while in harmony with the architecture of the apartment buildings on the same site is meant to be different as the structure which happens to be used by the general public, should possess timeless qualities. 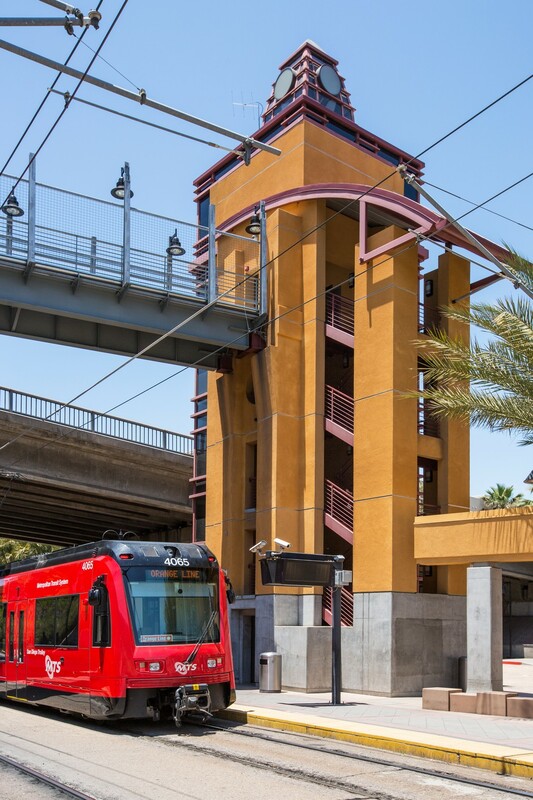 The elevator towers enclosures are made out of wired glass with steel frame structure and powder coated paint finish on three sides. 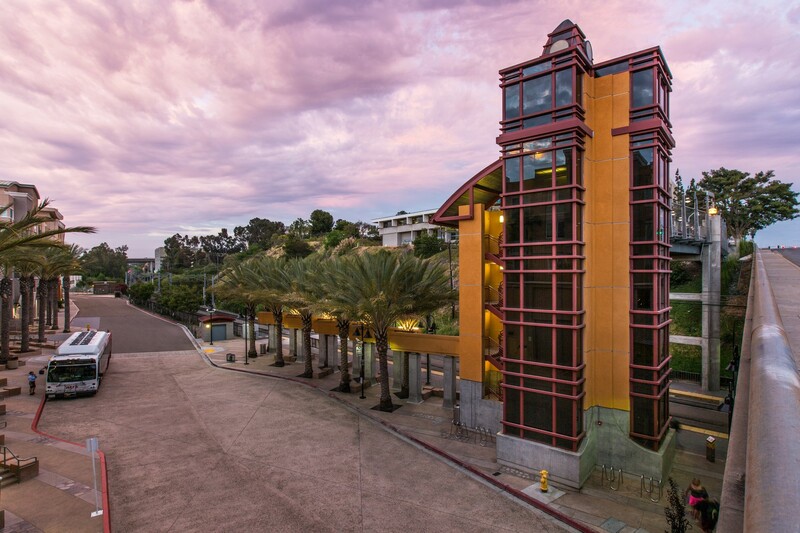 The elevator cabin has glass wall on one side making view of the exterior changing perspective possible. 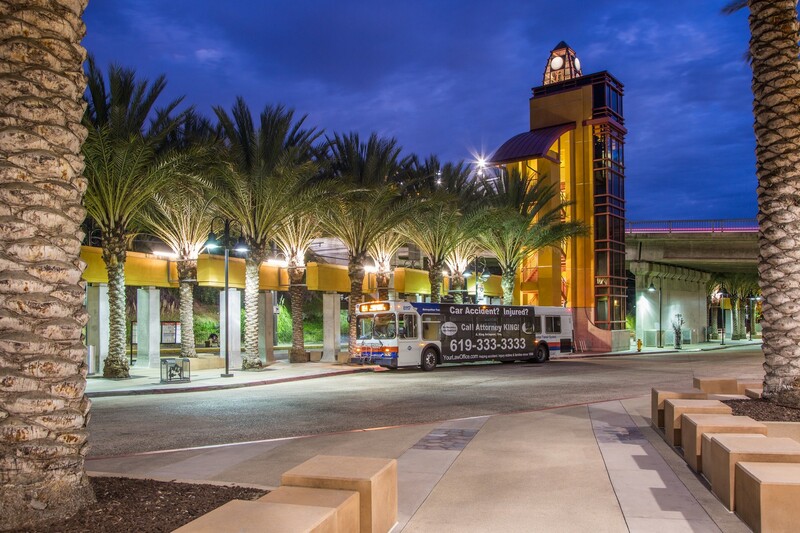 The tower is designed to function as an icon denoting arrival to the station with the glass dome visible from afar and glowing at night.